Are you a tutor stuck in the 20th century? Well, in case you forgot, it’s almost 2018! Yes, the future of education has arrived. And you should be a part of it. The fact is… Kids these days crave technology. 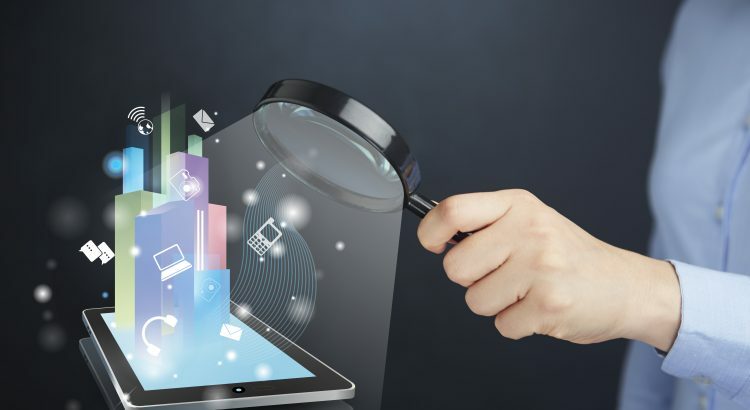 And in order to connect with them, you need to keep up-to-date with latest tutoring tech trends. If you haven’t already discovered the potential of using apps for education, it’s about time you did. All you need is a smartphone or a tablet, and you’re ready to go. Here are a few essentials that you AND your students will love. 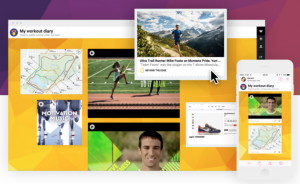 You could describe Padlet as an online bulletin board, but it’s so much more than that. It’s so simple. Just set up a digital ‘wall’, and then ask your students to use the app by sticking things on it. Pictures, written work, videos, you name it. 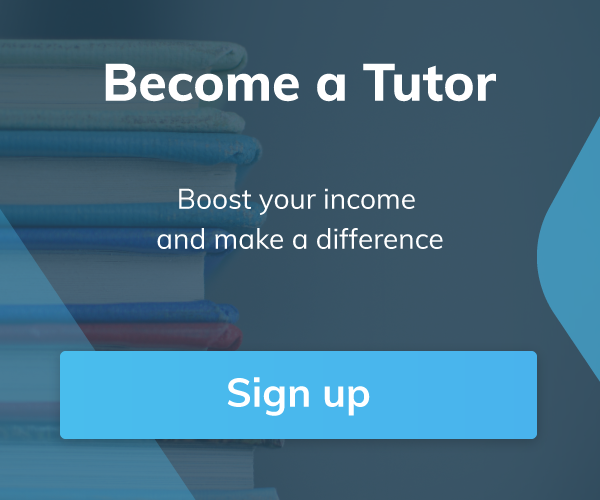 Tutors love how easy it is to use and the way it encourages students to participate. It really brings the work to life, and there are so many ways you can use it to breathe life into your lessons. Using it to create colourful and vibrant records of work that students can look back on without falling asleep. Using it to create group projects. Combining all of their combined knowledge to create a great Padlet really brings students together, and gives them something to be proud of. Letting your students create lesson notes. Let’s face it, most lesson-notes end up in the bin or lost somewhere in their room. Using a Padlet lets modern students take notes in a way that’s natural to them. Kahoot could be very well the fastest-growing phenomenon in online education today, and there’s a reason why. Students and tutors absolutely love this quick-fire, multiple-choice quiz app. It’s quick and simple to use. You load the quiz on your laptop or computer, students open the app on their phones, join the game, then fun ensues. You can make your own multiple-choice quiz before the lesson, or choose one of the many that are already online. Tutors agree that it’s ‘fun and easy’ and ‘a great teaching tool’. Students get points for correct answers and speed, so don’t be surprised to find your students desperately trying to remember every word you say in class, so they can ace their next Kahoot quiz. Use it at the start of the lesson to instantly grab your students’ attention. Use it at the end of the lesson to review what you’ve taught. Once students know there is a Kahoot on the horizon, they’ll want to remember word you say. Let students make their own quizzes for each other. Getting the students to make their own questions is a great way to encourage them to take ownership of their new knowledge. Whilst we’re on quizzes, let’s not forget Sporcle, which is a real classic. Unlike Kahoot, Sporcle is less fast and furious, and gives students a little more time to remember everything you’ve taught them. In a typical quiz, students have a time limit (say, ten minutes) to answer a number of questions (e.g. ‘name the elements in the periodic table’). They’ll be desperate to beat the clock, and they keep trying over and over to beat their previous record, and track their progress. Review lots of information in a fun and engaging way. Test what the students already know and what they need to improve. Sporcle really helps you know where your students are at. What they need less of, and what they need more of. Technology in class isn’t only for teenagers and adults. Kids love it too, and luckily there are some great apps to help. One such app is ‘draw and tell’, which does exactly what it says on the tin! 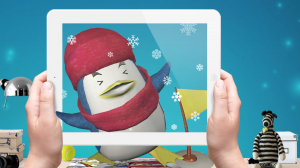 Your younger students will love using this colourful, interactive app. Tutors love the way it encourages their students to be creative. Unleash your students’ creativity by encouraging them to draw, and match pictures. Teach children the art of storytelling. 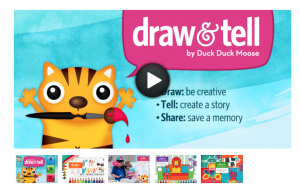 Kids love using the app to draw pictures, then tell their own stories. You’ll never forget the first time you see your young students’ react when they see their drawings come to life, and run around on the page. That’s right, you heard me. Quiver vision is a quite remarkable app for young learners that animates drawings when viewed through the camera on a smartphone or tablet. All you have to do is download the app, print some of the colouring templates from the quiver vision website, then hold your device over the finished drawing and let your students watch in amazement as the footballer they just coloured in jumps out of the page, and scores a goal! Teach colours and objects to young children in a way that they’ll never forget. When students think ‘project’ the first thing that pops to mind is sitting in a group, slaving away around a piece of A3 paper. 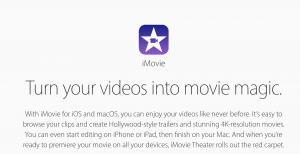 With iMovie, they can make something really special, that they’ll enjoy creating. Make short films and video projects to present to the rest of the class. Use features like iMovie Trailers to add special effects to their work. Create ‘how to’ lessons, or record lectures that their students can use to review previous work. Most tutors might think that WhatsApp can’t possibly have any educational value. It’s just what you use to message your friends, right? They’d be completely wrong. WhatsApp is a terrific classroom tool and it’s a wonderful way to make your lessons relatable for your students. What do you think they spend most of their day looking at? Set assignments out of class using it’s writing and audio features. Send your students audio reviews so they can relive your last class when they get home. Help your students set up study groups so they can help and support each other. It’s the modern-day classroom. Contact and work with parents. Let them know what their children need to work on, what they did well. Involve the parents in their development. Don’t forget that if you ever create a ‘classroom group’ for younger students and teenagers, it’s important to involve their parents in the group as well as yourself. Most tutors have probably heard things like this before, but those days are finally over. Using a Google Calendar with your students is an efficient and easy way to make sure you’re all on the same page. Information and document sharing so students can know exactly what they need to do or read before each and every class. To do lists to teach your students the invaluable life skills of time and work management. Setting an assignment, receiving the assignment, marking the assignment, giving the assignment back…the whole process takes an age, and sometimes it can be weeks before students get their work back. It doesn’t have to be like that. With google documents you can liaise with your students as you set assignments and receive and mark completed work at the click of a button. Make comments and suggest changes to get the most out of your students, and let them get the most out of you. Create a revision history to keep a documented track of each student’s progress. Use Google in-app to quickly and efficiently research as they work. Using the device’s camera, students can take a picture of a handwritten mathematical problem, which the app then solves! The app even breaks down the problem-solving process, to help the students learn themselves. Students take charge of their own education. Instead of sitting with their hand up waiting for the tutor, or waiting until the next class, students can take responsibility and help themselves. It makes the problems relatable. Students love using their phones in class because they understand them and connect with them…they use them for everything else, why not education? There really is no better time to be an educator, and the resources we have now give us the tools to make lessons that students will keep students coming back for more. We’ve provided a few suggestions of how to use these apps, but the possibilities are endless. Experiment with them, and see how you can use them to make your own lessons that more special.